In response, Korindo was largely excluded from the NDPE market, with companies such as Wilmar, Musim Mas, Bunge Loders Croklaan and Nestlé publicly committing to suspending Korindo from their supply chains. In March 2019, Korindo was reportedly working with the South Korean companies GF Oil and Sejong Technology to establish a biofuel plant on the Indonesian island of Bintan. The plant would use Korindo’s palm oil and aims to produce three million metric tonnes of biofuel — although the timeframe for this production has not been publicly specified. The companies are looking for a bunker partner in Singapore. This follows reports that GF Oil, established in 2012 to market biofuel to industries as a way of reducing greenhouse gas emissions, was promoting biofuel as compliant with the International Maritime Organization’s (IMO’s) global sulphur cap. The regulation, which restricts sulphur content in marine fuels to 0.5 percent from its current limit of 1 percent, will come into effect in 2020. GF Oil plans to eventually supply approximately 200 million tonnes of biofuel and will actively stockpile crude palm oil procured from Korindo. The stockpiling plans are in response to high production costs and unstable crude palm oil supplies, which GF Oil says have hampered the biofuel industry thus far. The news presents further evidence that the biofuel industry in Southeast Asia provides a replacement market for oil palm growers suspended from the NDPE market. As the European Union has officially approved a measure to phase out palm oil-based biofuel by 2030 and global palm oil prices continue to decrease, both Indonesia and Malaysia have responded by committing to increased domestic biofuel development. The Indonesian government has expanded the mandatory use of biofuel blend to 20 percent and is conducting research to increase it to 30 percent or 100 percent. The Energy and Ministry Resources minister has also announced the development of three more biodiesel refineries, likely in Plaju in South Sumatra, Dumai in Riau, and Balikpapan in East Kalimantan. Malaysian Primary Industries Minister Teresa Kok also announced in January 2019 that petrol stations in Malaysia will have to switch to 10 percent biofuel content from the current 7 percent, and policies to fuel local demand for palm oil. 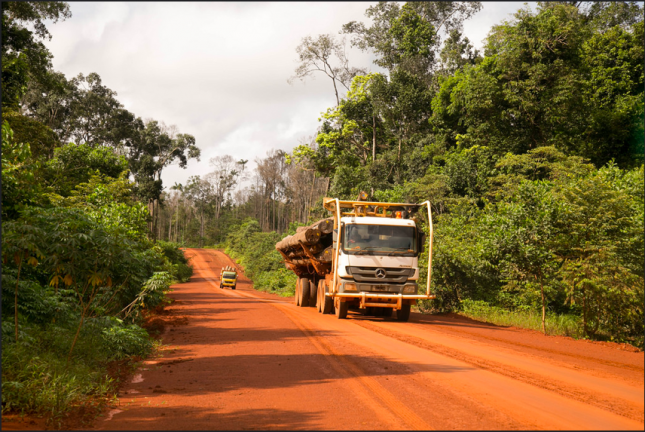 Companies have responded to sustainability demands by adopting NDPE policies that have attempted to apply a standard that prohibits deforestation or peat development. There are fewer sustainability demands from the domestic Indonesian and Malaysian markets. If companies excluded from the NDPE market transfer their business to the biofuel market or to industries outside of the traditional manufacturers and consumer goods companies, efforts by traders to reduce deforestation in the wider industry could be increasingly challenged.